The first day of kindergarten is just around the corner. You've bought all of your child's books. You've packed her little backpack. You've even fitted her into her new uniform. But is she ready for the classroom? Kindergarten is a huge milestone for you and your child. Not only is it the first step of her formal education, but her early experiences can affect the way she relates to others for the rest of her life. 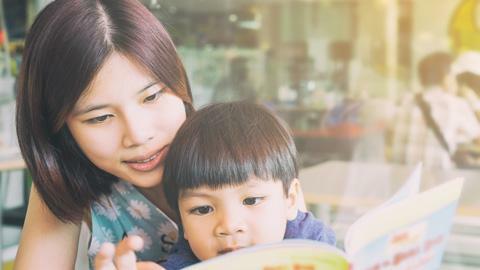 More than the ABCs and 123s, your 4- to 5-year-old will learn how to make friends, how to deal with expectations, how to express herself, and more. Success or failure at this stage can affect her self-esteem, well-being, and motivation in the long run. But don't worry. There's a lot you can do to prepare your little learner for this school year. "Children take their cues from parents," as the Philippine Star cited Dr. Gail Gross, a family and child doctor expert. "If parents are calm, reassuring, optimistic and supportive, children will feel both confident and competent." Give her food that's good for her body and brain, plenty of sleep, and regular visits to the doctor. A schedule for eating, playing, and sleeping can help your child get to know what she can expect and what others can expect from her. Games and other stimulating activities can help her recognize letters, numbers, colors, and shapes. They can even help you bond closer, while exercising her social and motor skills. Expand your child's world with trips to the museum, aquarium, and more. Encourage your child to welcome others and participate in group activities, whether it's a game at a birthday party or playing with other kids at the pool or playground. Talk about kindergarten and involve your child in preparations for it. Explain what she may expect and reassure her that it's okay to feel nervous. If possible, tour the school before classes begin and familiarize her with it. Remember, her first day of school is one step in a long journey of learning and holistic brain development. More than perfect students, teachers look forward to meeting young, capable minds, who are eager to learn.